Price Drop! Was: $47.95 Now: $39.95. For a limited time only, while stocks last. Studies show that a large percentage of household related accidents happen in the bathroom - prevent mishaps and injuries with this handy shower seat! 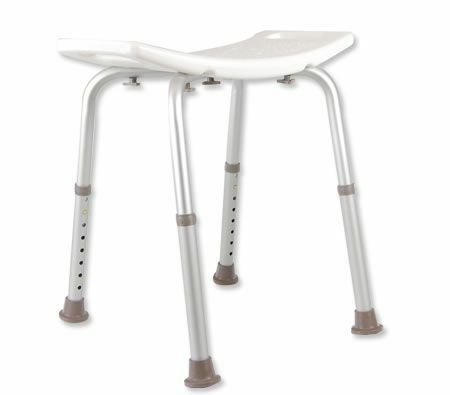 Great for the ill, pregnant or elderly, it allows you to be seated whilst taking a shower, which lessens the chances of slipping and falling over on slippery shower surfaces. Its height adjustable legs are extremely sturdy and will not collapse unlike other conventional foldable shower seats on the market. With a comfortable molded seat and powder coated steel frame, this shower seat will help keep you and your loved ones safe in the shower! Order yours today!